We are happy to organise within a long tradition our 14. Berlin Open Dance Competitions for Women and Men Couples in Latin & Ballroom at the 3rd May 2014. As well in this year we expect a colourful national and international range of couples, which will inspire the audience with their variety and quality of dancing. 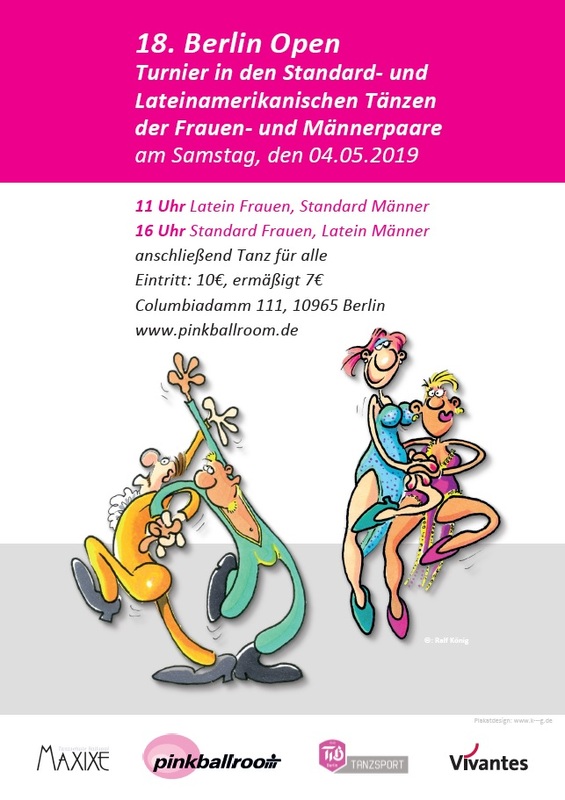 We look forward to seeing you in Berlin!